Once again we spent our retreat at the Waynesboro Best Western. We visited quilt shops, ate, laughed a lot, and some of us got quilts finished. Our theme this year, was 2015 Space Odyssey and we had space themed music as well as decorations. 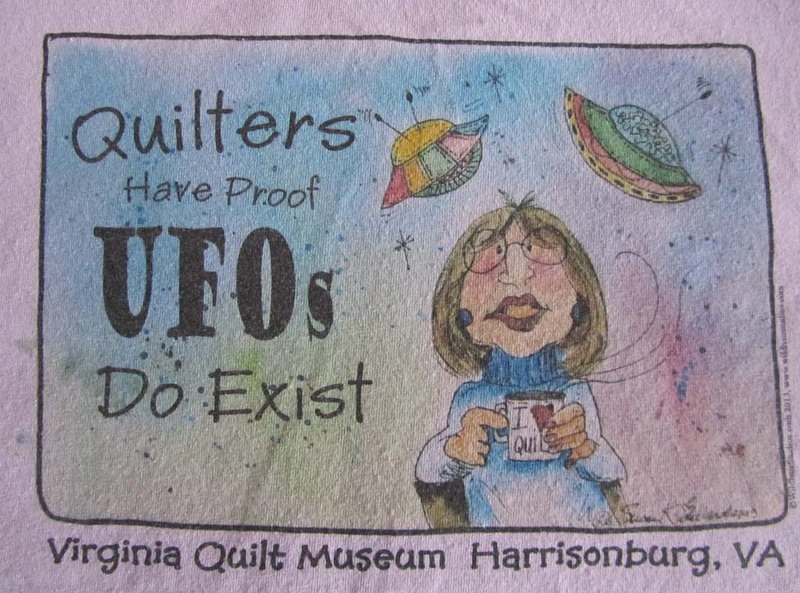 In keeping with the theme, we had a UFO completion challenge, and the retreat committee wore these T-shirts on Saturday. We had workshops on making chicken pin cushions, pillow covers from orphan blocks, and painting fabric with Tsukineko inks and shaving cream. The last was held outside on the motel’s picnic table and was a bit of a challenge due to the wind.